This basic warm-up works joints and core muscles for any kind of training, and helps to unlock the hip area - which is essential if you want more powerful punches. Mix these moves into your everyday routine. 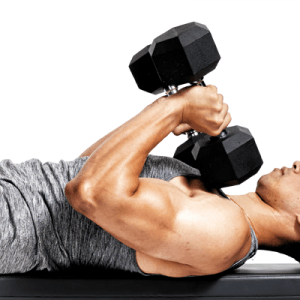 Do each set for 30 seconds, with 30 seconds of recovery in between each set. Once you’re warm, get your wraps on and spend some time working the bag, or doing pad work with a coach. From a natural standing position (feet hip-width apart), step forward with one leg into a low lunge, with both knees at nearly 90-degrees. Keeping your spine straight, step back and alternate legs. Widen your stance and keep your feet parallel. Concentrate on tensing your core as you go down into a squat–as low as you can go without bending forward or losing core tension. Repeat. 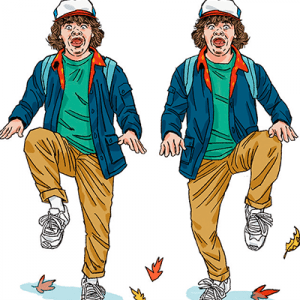 Start upright in a neutral stance, your feet wide apart. Keeping a straight back, activate your core and drop down into a squat and extend one leg to the side, keeping both feet flat on the ground. Keeping your feet together, back straight, and elbows close to your body (your hands should be just underneath your shoulders), do short, fast push-ups – focus on repetitions rather than the range of movement. Start from a plank position. 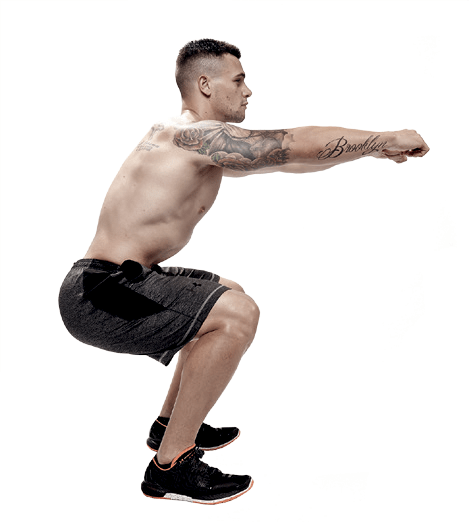 Jump into a squat, keeping your hands on the floor, feet hip-width apart. (Skip the push-up.) 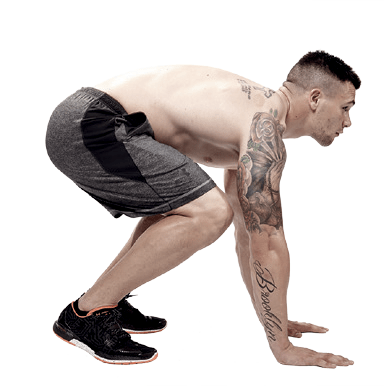 From this squatting position, leap up into the air. Jump back down into a plank and repeat. Start on your stomach with hands extended at your sides. Twist over your opposite leg (the scorpion’s tail) towards the opposite hand, repeat on the other side. Good for hip, back and shoulder mobility. Time: 30 seconds. 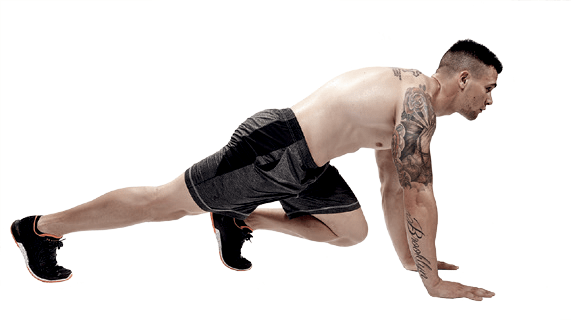 Get into a push-up or plank position, with your arms under your shoulders. Holding this position and keeping your back straight, bring alternating legs up towards your elbows as if you’re climbing. 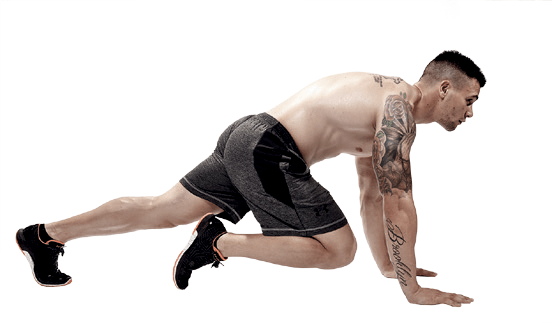 Get onto all fours (use a mat or towel for your knees), with hips over knees and shoulders over your hands. Curve your back, slowly, as far as you can. Then arch your back as high as you can. If you don’t practice your position and get your balance right, you can’t do it in a fight,” says Lerena’s coach, Peter Smith.